This crime and the relative impunity afforded to the perpetrators are indicative of a sorry state of affairs for Brazil’s judicial system and exemplify its inability to deal with a rise in both violent and nonviolent crime. According to The Economist, as a nation develops and its economy strengthens, violence should be expected to decline. More development correlates with less crime. This hypothesis may not apply to Brazil, a nation vexed with vast inequalities between regions, racial groups, and economic classes. Brazil continues to confront chronic issues of inequality and poverty, with the worst-off region being the historically Afro-Brazilian Northeast. In addition to its poverty and inequality, the Northeast is now facing an overwhelming crime spree. While nordestinos–citizens of the Northeast–would like to effectively confront this host of issues, there is little to aid them in this herculean task. The Brazilian Northeast can be seen as a lawless territory with a deeply flawed judicial system, ineffective police forces, and a growing appetite for crack cocaine. With the combination of these challenges, the region’s criminal activity perpetually beleaguers its civilians. In the past few years, Brazil saw its coffers explode with windfall revenue. Spurred by a commodity boom, Brazil rode a wave of rising commodity prices and increased exports, especially to China. The bonanza effectively reduced some of the nation’s appalling rates of inequality. Since 2002, Brazil has seen more than 35 million of its citizens raised out of extreme poverty. Over the past decade, the Northeast boasted the second largest increase in number of middle-class citizens, as defined by the World Bank. However, this definition includes as middle-class those families making an astonishingly low $3,000 to $6,000 USD per year. The Northeast also suffers the highest homicide rate in the country. The state of Alagoas has the dubious honor of leading the pack, reporting a murder rate of more than 66 homicides per 100,000 people. Among the 12 most populous countries in the world, Brazil has, by far, the highest homicide rate at 27 per 100,000. The second highest, Mexico, has 22. The question remains of how a country can be defined as middle-class and yet exhibit such high murder rates. Many explanations have been proposed. 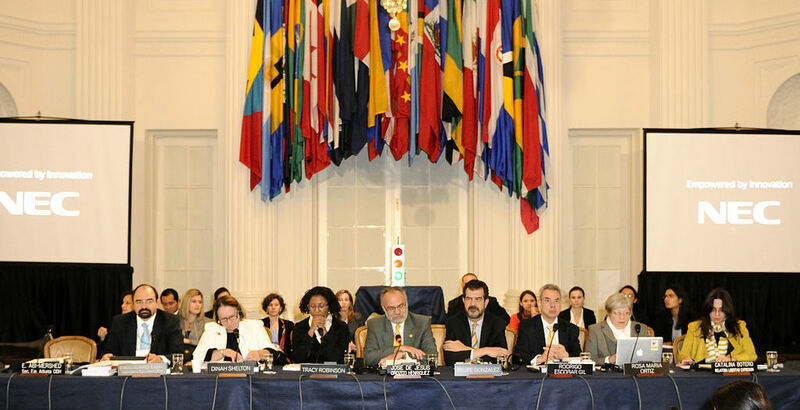 Some point to a “culture of impunity” within Brazil, due especially to arduous legal processes. Convicting law breakers is all but possible, so most go unpunished regardless of the severity of their crimes. The most famous case of the decade in Brazil is the Mensalão–or big paycheck–case that involved numerous politicians, including multiple members of the current administration’s political party, Partido dos Trabalhadores (Worker’s Party: PT). Perhaps this case is the most obvious in discussing impunity within Brazil’s legal systems. The scandal, exposed by the popular Brazilian News agency Folha de São Paulo after receiving information from politician Roberto Jefferson, involves various Congressional deputies receiving a monthly “paycheck” (hence the name of the scandal) in return for voting favorably for different initiatives put forth by the PT. The fallout, however, has been fairly minimal compared to the alleged scale of the operation. Matthew Taylor, an assistant professor at the School of International Affairs at American University, highlights the inconsequential nature of the punishment. There were 841 defendants for the Mensalão trial, but “only 55 have been convicted and only 9 have officially gone to prison” in the nine years after the case. 12 of those convicted may be absolved of their crimes as well, following accusations of judicial malpractice that threaten to negate many of the rulings. The ex-aide of Congressman José Janene, João Cláudio Genu, may have a chance of leaving his jail cell scot-free, after being condemned to a four-year prison term. 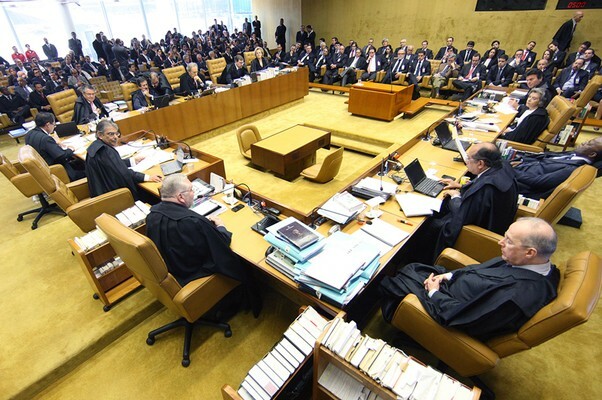 “The Mensalão trial shows the [Brazilian] courts’ problems,” Professor Taylor acknowledged. Violent acts like the one in Maranhão occur in other areas in Brazil as well, especially in the urban slum districts—known as the favelas. 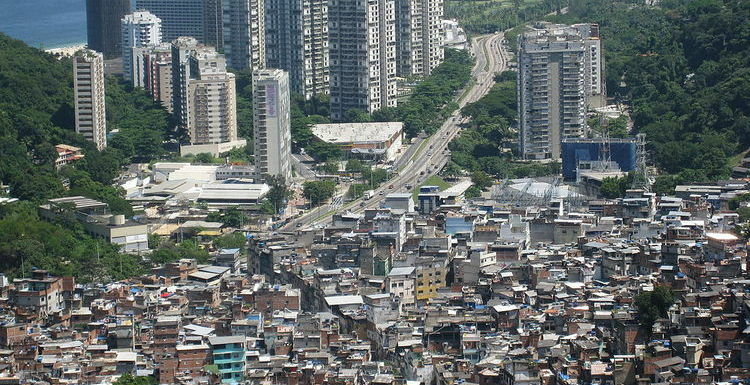 These squatter settlements are traditionally occupied by poorer Brazilians who do not have the funds or the means to inhabit a more desirable form of housing. 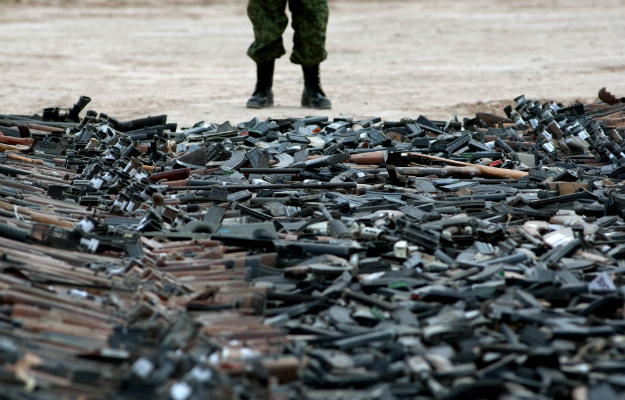 On occasion, dangerous gangs or drug lords take control of these areas, far away from the eyes of the authorities. These malefactors formulate and enforce their laws within these poor communities. Over time, crime becomes localized, and different neighborhoods, or bairros, can accumulate very different records of poisonous activity. Fortaleza, the second largest city in the Northeast, illustrates the unequal distribution of opportunity and how safety can be at a premium. Over the course of two months, the 10 richest neighborhoods reported seizures of 221 grams of illicit drugs, including crack, cocaine, and marijuana. For the 10 poorest districts, more than two kilos were reported. Among crime indices, the only index that was higher in the richer areas (by a point) was stolen cars, perhaps due to the higher resale value of cars in richer areas. Violence in Brazil is a difficult issue, as each of the aforementioned factors feed on each other. The absence of government activities leads to power vacuums, which are filled by even more dubious figures. As such, fear and violence continue as many such dubious figures turn to dealing drugs. The arrival of crack cocaine only worsens the situation. As we look forward to the upcoming World Cup, hosted by various Brazilian cities—some of which will be found in the northeast—it will be interesting to see how Brazil will confront these complex issues, and whether they can be dealt with before even more lives are lost. Barros, Alan, and Hayanne Narlla. “Bairros pobres de Fortaleza sofrem com violência enquanto ricos estão ‘seguros’.” Tribuno do Ceará. . Bairros pobres de Fortaleza sofrem com violência enquanto ricos estão ‘seguros’. accessed October 18, 2013.